JACKSON TOWNSHIP, Ohio (WJW) -- For the first time, we're hearing the videotaped confession of a Stark County woman convicted of killing her daughter, and then helping her husband hide the child's body in the couple's restaurant. On the tape, 30-year-old Ming Ming Chen revealed how she killed her 5-year-old daughter, Ashley Zhao, and the motive for the crime. Chen was brought into a police interrogation room last January after investigators found the body of Ashley hidden in a Jackson Township restaurant owned by Chen and her husband, Liang Zhao. Video from January 2016 shows a 30-year-old mother telling an investigator she beat her 5-year-old daughter to death and helped hide the child’s body. The couple had reported their daughter missing a day earlier, prompting a frantic search by Stark County authorities. 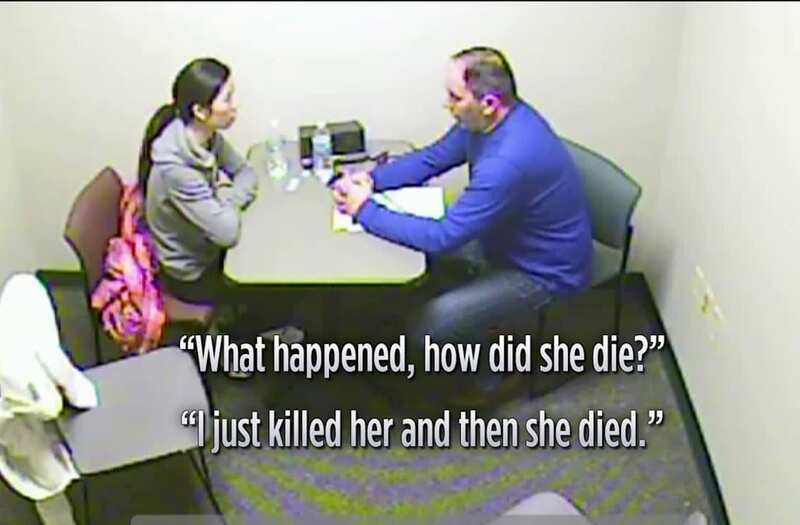 Early on in the interrogation, Chen claims she has no idea how her daughter died. The lead detective takes note of the fact that Chen showed no emotion upon learning the devastating news that her daughter was dead. "I know that you're not crying. You said, 'I don't have nothing left.' Isn't that what you told me? You don't have no tears left, you don't have nothing left. Ming, Ming, your daughter is dead," the detective was heard saying on the tape. After repeated denials, Chen eventually admits that she beat her daughter to death in a fit of rage in the kitchen of their home in North Canton. "What happened? How did she die?" The detective asked. "I just killed her and then she died," Chen answered. Chen is then asked if she hit her daughter. "Yes. Use your hand to do that, okay," Chen answered. She also revealed that she told her husband that she killed their daughter, and asked him to get rid of the body, which he then hid inside the restaurant. "I told my husband to take care of it," Chen told the detective. When pressed more on why she beat her daughter to death, Chen said she had been overwhelmed by work, and claims after her daughter spent an extended period of time in China with her paternal grandparents, she had become disobedient. "I need to take care of everything from the restaurant. I only have two hands. I'm not four hands girl, I'm two hands. I don't want to do that to Ashley, but you can't control yourself sometimes," Chen said. On Friday, Chen pled guilty to charges that include involuntary manslaughter and child endangering.